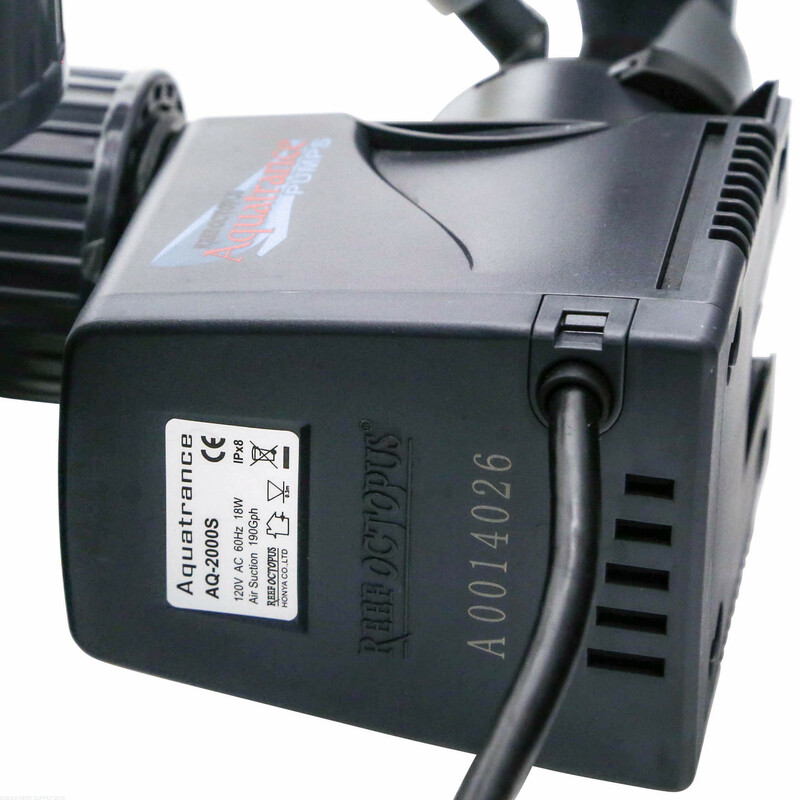 External skimmer powered by Aquatrance 2000s pump with an improved venturi design and pinwheel impeller. Built with high quality acrylic. Wedge pipe output allows for more adjustment of the skimmer compared to ball valves. ½” clearance required to remove collection cup for easy cleaning. 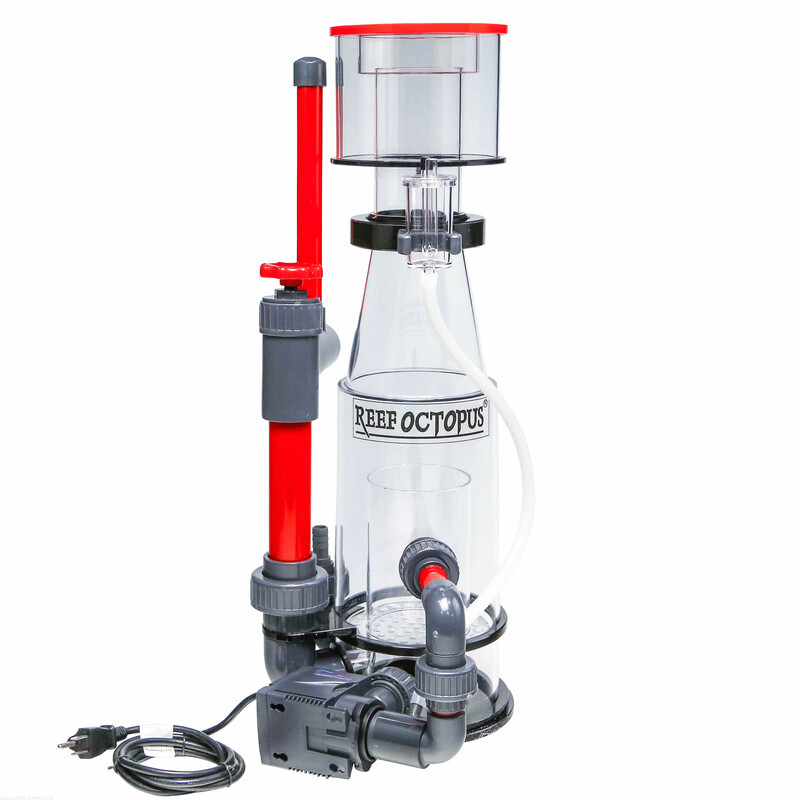 Footprint - 12.2" x 10.4"
The Classic 150EXT skimmer requires a feed pump to feed water to the skimmer. 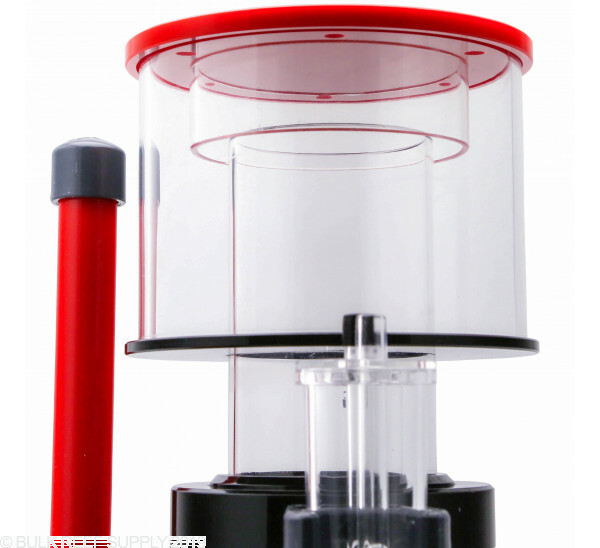 The recommended maximum flow rating for this skimmer is 400 GPH. These numbers are based on zero back pressure on the output plumbing. If you add 90° bends on the plumbing back to a sump you may need to back off the amount of water being feed through the skimmer. 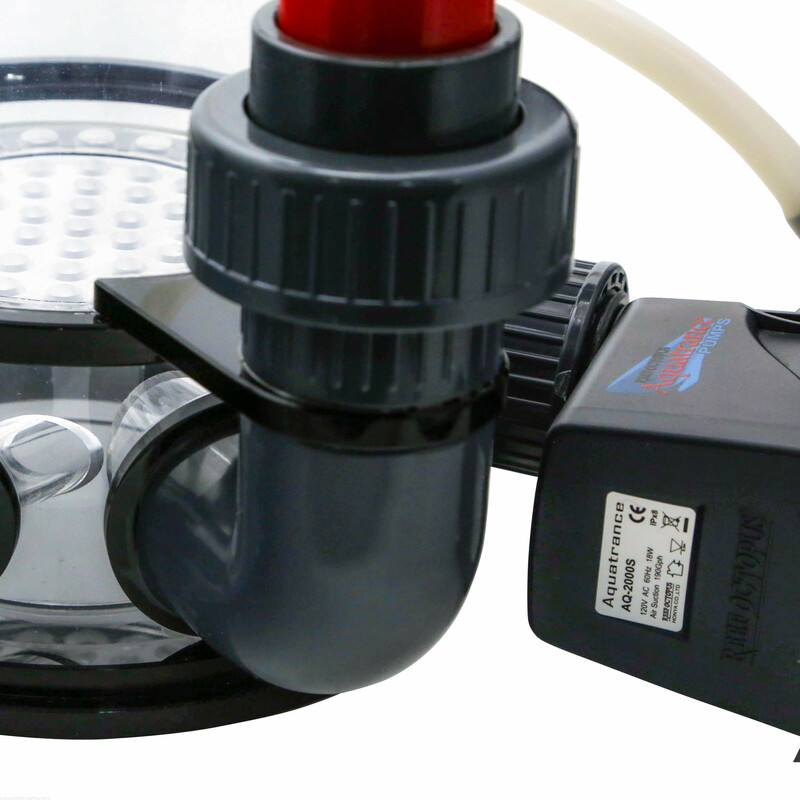 We recommend that you use a ball valve inline from your feed pump to the skimmer allowing you to control the water flow. 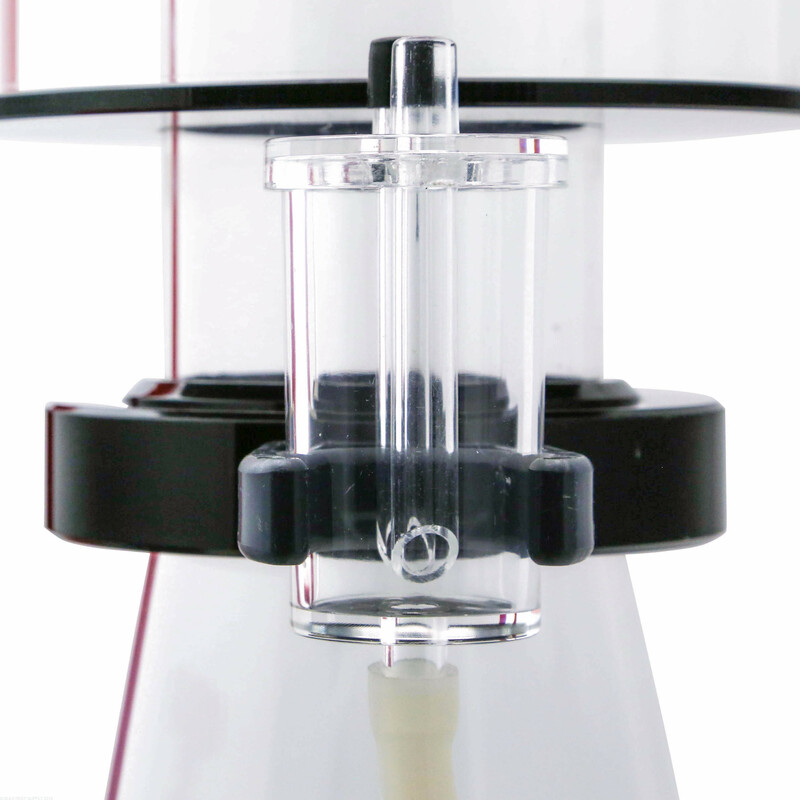 Note: A feed pump is required that can flow around 1.5 - 2 times the systems volume. 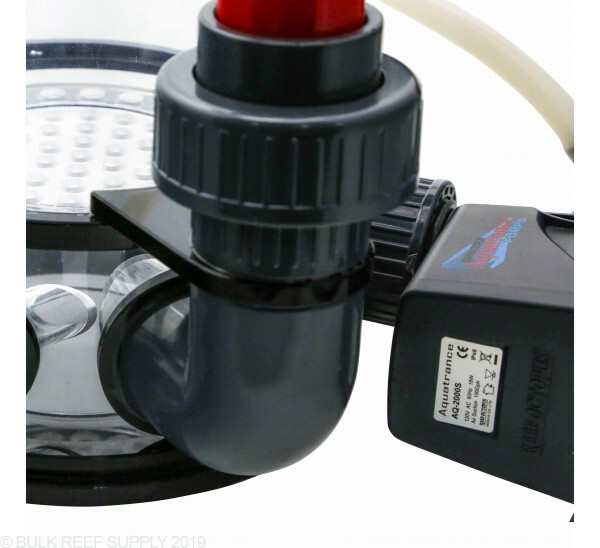 We suggest a pump around 200 - 400 GPH, and particularly like the VarioS 2 Controllable DC pump or Sicce Syncra Silent 1.5, we also highly recommend a gate valve to help control and fine tune the flow of water into the skimmer from the feed pump. Foot Print: 12.2" x 10.4"
I run this skimmer on a 125 and it works great. I like this skimmer, It is not quiet. Lots of bubbles and works very well. 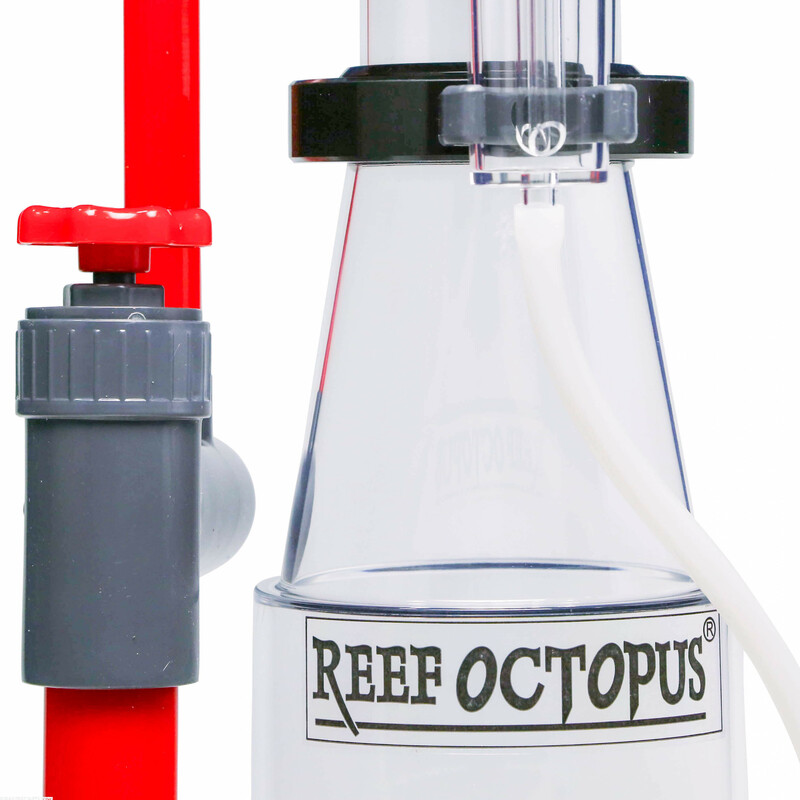 I use this on my 80 gallon system with pellets and zeovit works great at pulling out the bacteria. MAJOR CON with external use. IT WILL FLOOD YOUR FLOOR! I've had this happen about 5 times and my girlfriend gets pissed every time. you have to set the water line at the neck of the cup to have it overflow into the collection cup properly. If you are off slightly and do not check it. It will quickly fill up and overflow all over your floor. Id recommend using this with apex leak detection. Or just be sure to double check your skimmer after adjusting it. check again 30 minutes after you set it, it will change. 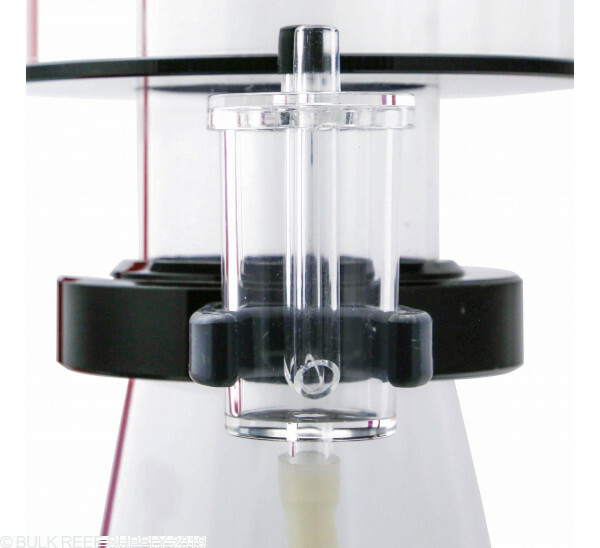 Note that the sump has to be no taller than 13" for external use unless you are able to boost up the base of the skimmer. I'm new to this hobby , I hooked mine up external to 125 gal. With 33gal. Sump. I don't have a lot of fish and coral yet, 3days in good color at top already. FYI 1 1/4 pvc fits inside large adapter and 1/2 pvc fits inside small adapter. This is the best skimmer I have ever owned.... and only the second one. But that does not mean I am biased on the subject. I know I could have spent a lot more money and gotten a Deltec or a Vertex, but for the money you get a lot of skimmer here. I have mine external, but you can go in-sump if you like. 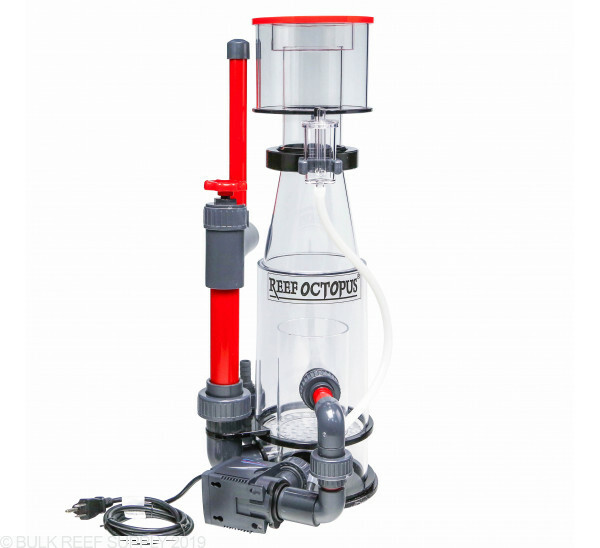 I have mine fed off my main return pump AND my bio-pellet reactor which makes for some really NASTY skimmate. Put this on a 125gl mixed reef, started working almost instantly. Took a little tweaking to get the flow through right, but it's been smooth sailing ever since. Got the skimmer over the TG weekend for my 90G build. Since the build is still in progress I don't have actual action review yet. But... the 150 looks like a really high quality product. Very well made and put together. Comes w/the gate valve, not the wedge pipe as some pictures seem to show. The pump looks like a tank. 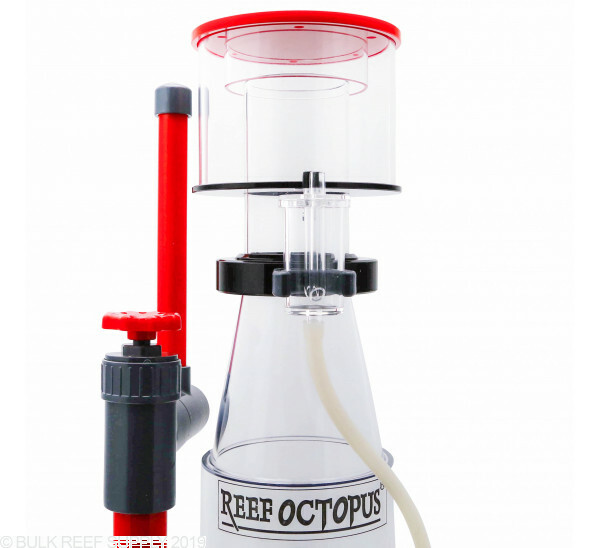 Also, not too many people know this, but you can upgrade the pump to the Bubble Blaster 2000 for this skimmer, it is made to fit - got this info from tech support @ CoralVue, which btw is outstanding. The BRS guys are great too, pre and post sale, but you probably already know this if you are shopping here. Using on a 75 gallon mixed reef. the amount of crap pulled out is amazing. After some tweaking it is pretty much set and forget. Where should I adjust the bubbles to in the collection cup? If I set this pump up outside of the sump what are the water input and output connections needed? 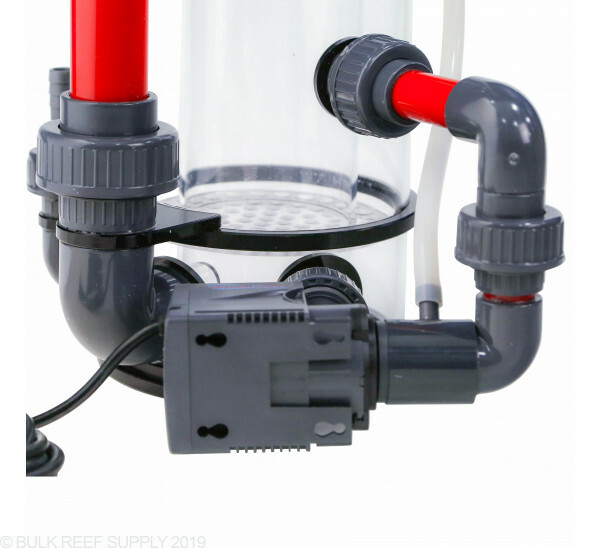 You will want a feed pump around 250 GPH to connect to the input using 3/4" soft tubing. 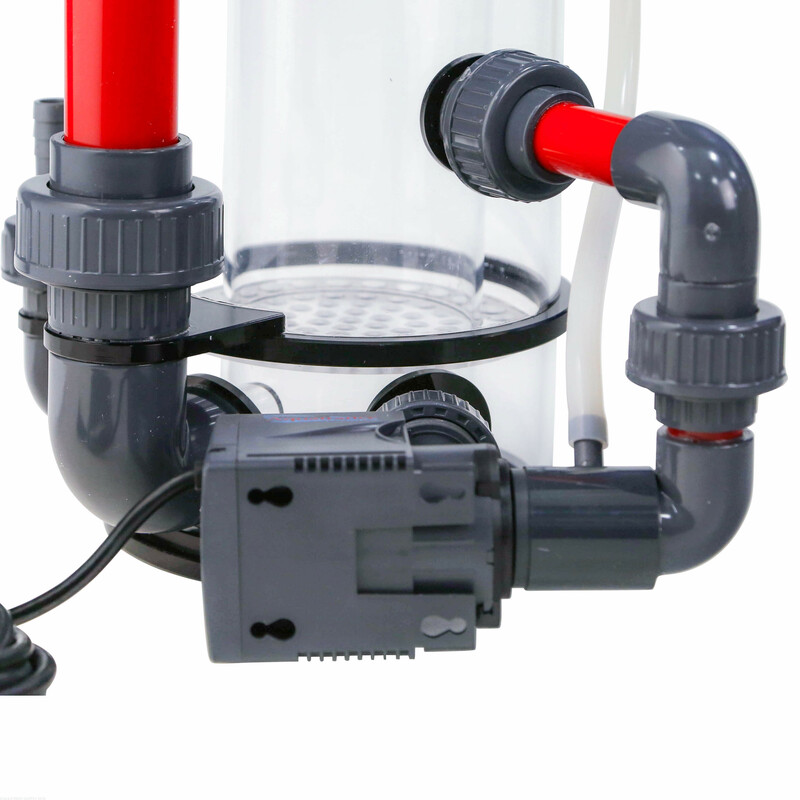 The water on the output of the skimmer will be hard plumbed with an adapter for 3/4" hard PVC. Should I glue the pipes and fittings of this together for external sump use? You will need to use PVC Cement if you need a leak free installation. 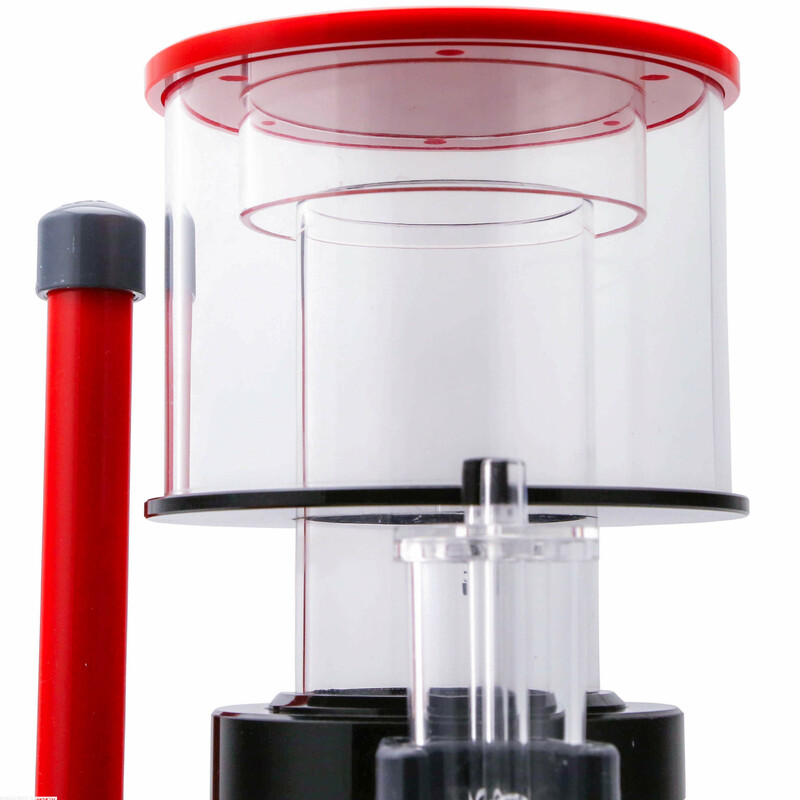 You will want a pump around 1.5- 2 times your system volume. Typically around 300 GPH. 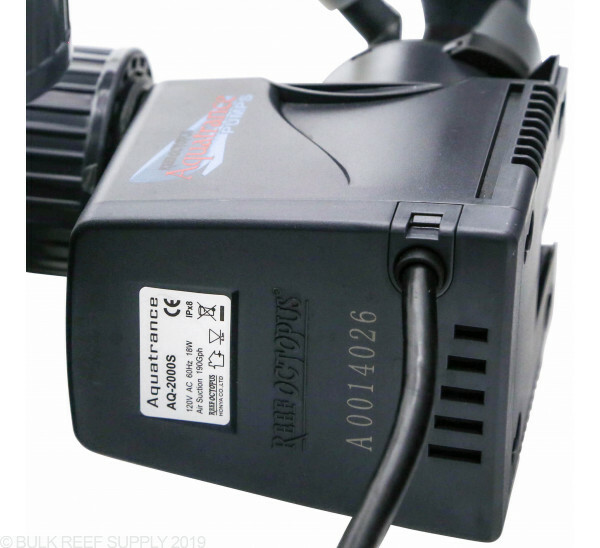 A great feed pump is the Sicce syncra silent 1.5. I have included a link below. This is the only additional pump you will need. This can be run internal or external. Feel free to let us know if you have any further questions! How much clearance do you need to remove waste cup? You will need around 1.5" for easy clearance of the collection cup. 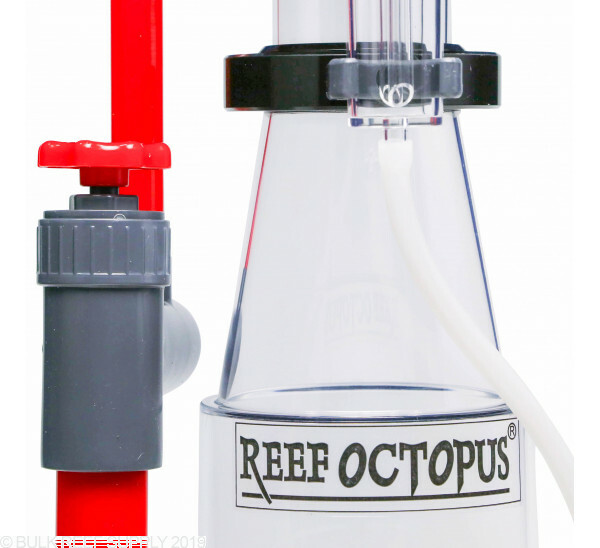 Will any of the auto neck cleaners work for with skimmer ? 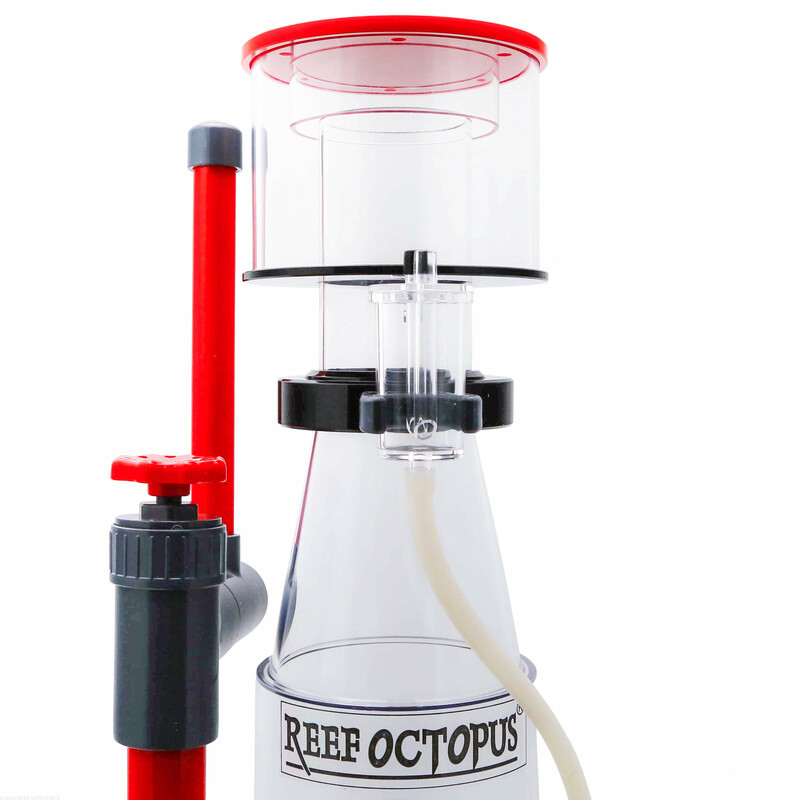 The 150 neck cleaner will work for the 150 skimmer.